My parents insisted if something was worth doing, it was worth doing well, so with that in mind, I picked up graphic artist Stephen Wildish’s How to Swear. If I’m going to do it, I’ll do it well. 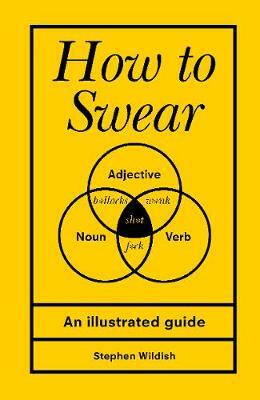 This book is a guide to the complex business of swearing, covering everything from word origins to the words’ correct grammatical use. Who knew there were so many ways to use a single word. This is the perfect book for the swearer in your life. But be warned, this book is filled with extreme language.